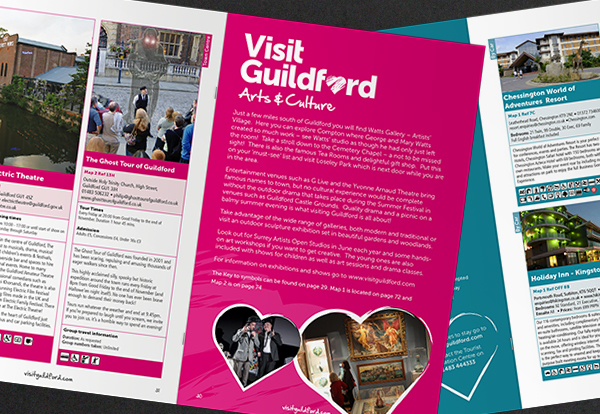 Starfish are continuing their long-term relationship with Visit Guildford with the production of the 2018 Visitor Guide. 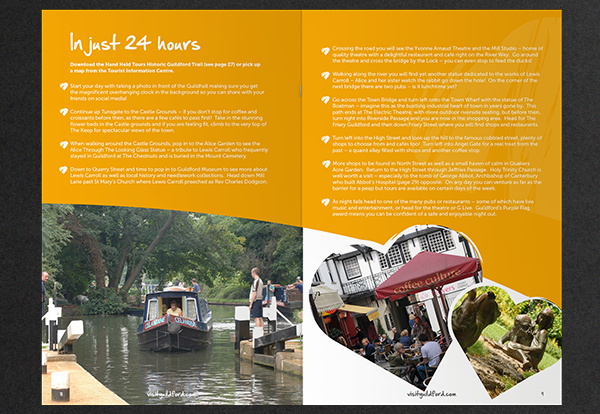 Building on the success of previous brochures the perfect bound booklet is packed full of attractions, events and places to eat, drink and rest your head. 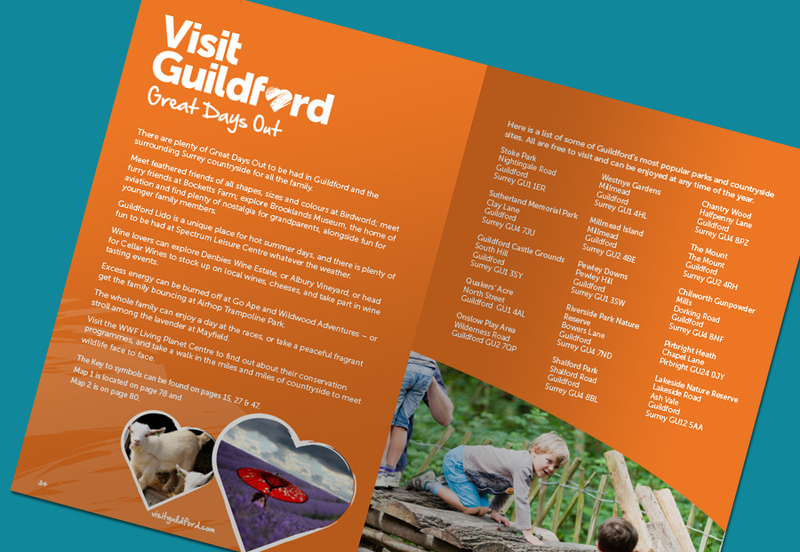 The Visit Guildford branding has been developed where the hearts used within the logo are reflected throughout the colourful pages. 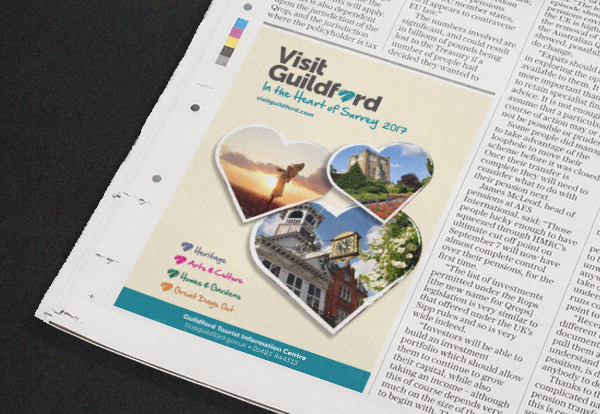 Starfish was responsible for all advert management, design, artwork and print of the 45,000 brochures.